Dogtown1 and CIB for the diseased dogs variants. Puce Moose for the PungaScorpion, Punga Posters and the tasty Punga Pasta. Prensa for the Nif replacements for the silent and non opening doors. 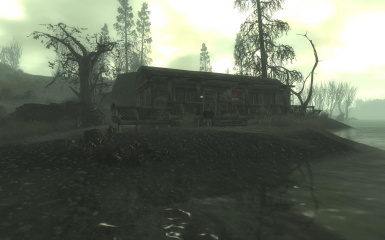 Fixed error with Marcella's ai packages, allowing her to sit outside of her shack and inside. Fixed issue where Karl Smithy's inventory would show all his items despite not completing his quest. Various fixes and improvements implemented to PLR scripts. Fixed issue where items were referred to by their BASE ID e.g. 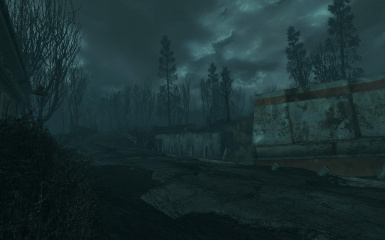 (0607A6A5) which would cause CTD's if the user did not have Point Lookout Reborn loaded as the 6th mod. This has now been changed so that the scripts now refer to their ID e.g. ArkAndDoverPassageKey instead of (0607A6A5). 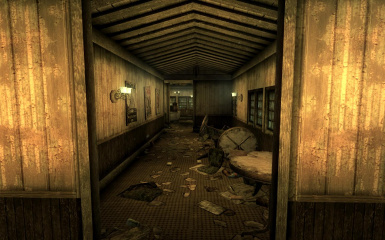 Included fixes for silent doors in Point Lookout such as the Ark&Dove main gate and the shack cabinet doors. You now no longer need other mods installed which fix these issues. Improved camp exterior, cleaned up navmesh, fixed some clipping issues, added lighting, ivy, extra rock and various other items. 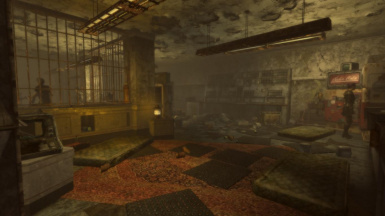 Added an interior cell containing extra Trial’s, beds, punga fruit and dynamic ai packages meaning Trial’s will wander both inside the cell and outside. The second, previously inaccessible shop, is now accessible through a sewer system that links both the shops together. Various improvements made to Grocery store as well as several fixes including clipping and navmesh. Improvements also implemented to exterior of shops, More pre-war items added to grocery. 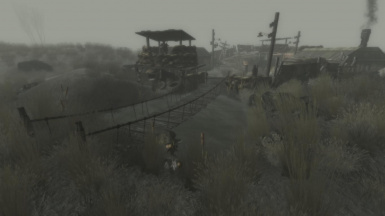 Several drainage sewers added throughout Point Lookout, located on/ near the main Road, each sewer is unique to one another and contains items/ creatures/ NPC's in accordance to its location e.g. 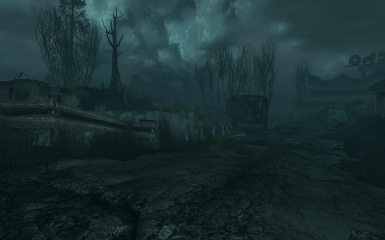 A sewer located near a Smuggler encampment is likely to be inhabited by them. Replaced and resized fires on trees (once mansion has been destroyed), to a more lore-friendly and realistic model. Increased the amount of Mansion debris after Mansion is destroyed. Added 'Calvert Cliff' shack on the North cliff face, contains a balcony and an interior. 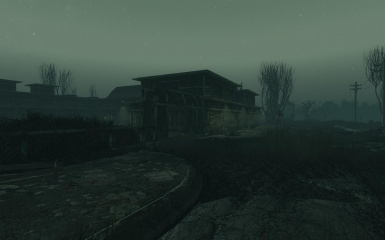 Many clipping and landscape mismatch fixes around Calvert Mansion area. More dead and undead Punga Scorpions added throughout the swamp, value of Punga Scorpion poison gland increase, value dependent on size of punga scorpion. Replaced pasta with punga pasta where necessary. Stealing from Smugglers is no longer regarded as stealing due to their Evil disposition. Increased number of Smuggler hideouts and bases. V2.4 is ready for download! 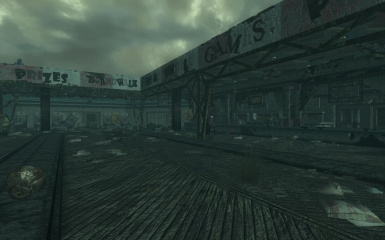 Point Lookout Reborn was over three years’ worth off work. 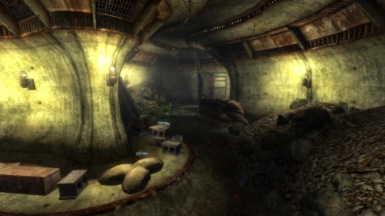 A huge amount of my time and effort went into creating it, aiming to ensure the richest, and most enjoyable experience when playing the best Fallout 3 DLC. 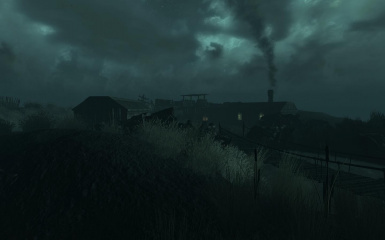 Point Lookout Reborn was initially planned for release in March 2010, however due to numerous problems with the land LOD and scripts it was cancelled a few months later in September. 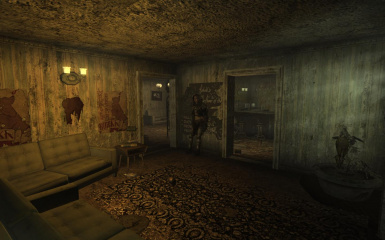 Work resumed from scratch in May 2011 and now none of the previous errors remain Point Lookout Reborn has improved greatly since its initial release date and now contains tons of more content. 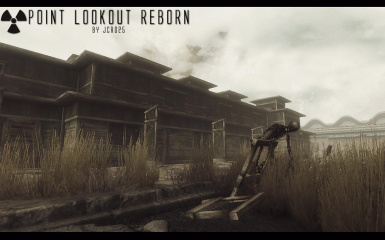 Point Lookout Reborn is an overhaul mod designed to make Point Lookout more enjoyable, level friendly and mainly to make exploration more rewarding. 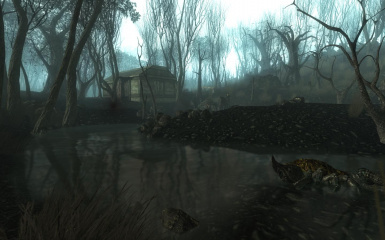 This mod contains many lore friendly changes and improvements that fit in with Point Lookout’s environment. 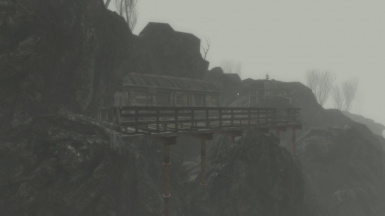 Point Lookout Reborn is all about exploration. 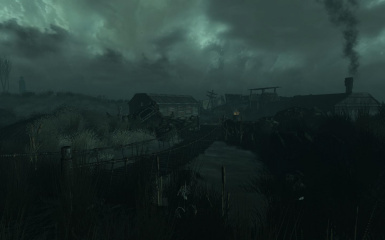 Those who take the time to explore the vast swampland will be rewarded with over 50% more additional content and around 2-3 hours of extended game play on top of the original 8 hours expected to complete everything. A series of over 400 corrections and improvements to navmesh, dialogue, coding, quests, landscape and packages on top of the additional content aims to ensure a richer and more rewarding experience for everyone. Note, that there are many more improvements than just those listed below. 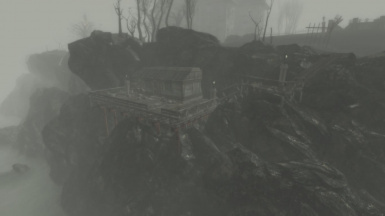 OVER 20 new interiors have been added throughout Point Lookout which are all unique to one another consisting of shacks, caves, cellars, shops and sewers. All of which are fully Navmeshed. Many of the existing interiors have also been expanded and/or improved. Over 10 new marked locations have been added. 3 new quests have been added. 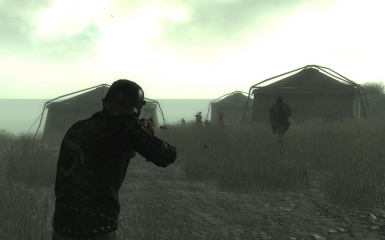 Over 50 more enemies and allies added throughout Point Lookout. 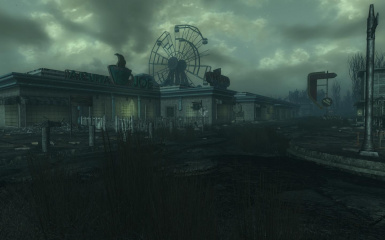 Nearly every single original Point Lookout exterior and interior location has been improved. 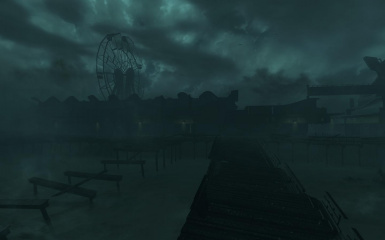 A new quest has been added which involves getting whats left of the old boardwalk lighting system to work again. 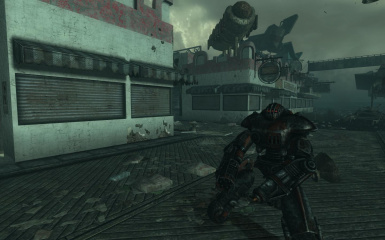 A small side quest has been added which enables the player to fix the old boardwalk security robots to work and patrol again. 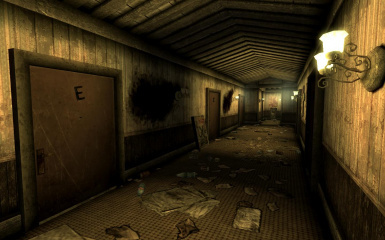 The Homestead Motels interior has been completely revamped and is now one large interior containing over 15 different rooms and a lower level. 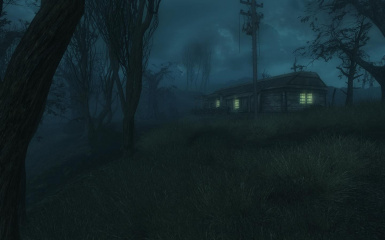 The Homestead motel also contains a side quest involving getting its exterior lighting to work again. 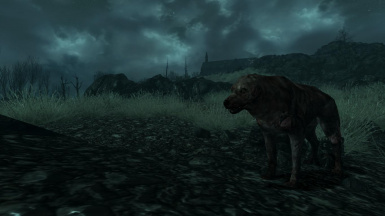 New variants of diseased dogs have been added which differ in difficulty. Punga Fruit now regrows! Its grow rate will depend upon the type of Punga. A new pasta containing Punga Fruit has been added. 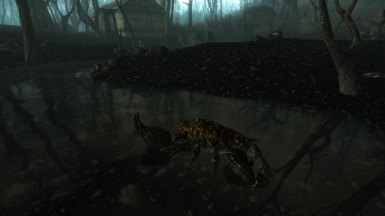 A new type of Radscorpion has started to breed in Point Lookout called "PungaScorpions" its sting will reduce radiation for the cost of reduced health. New lore friendly loading screens have been added which link in with the additional content. 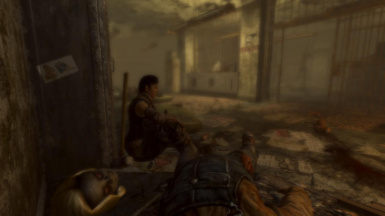 Most of the unique NPC'S have been given more complex and dynamic AI packages which will allow them to sleep, eat, drink and go outside of their interiors. 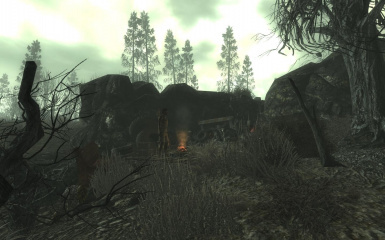 More ambushes have been set up to increase realism and keep the game interesting whilst traveling from one place to another. The difficulty of the ambushes will depend upon your level. The coffee shop on the boardwalk is now accessible and contains an outside courtyard. 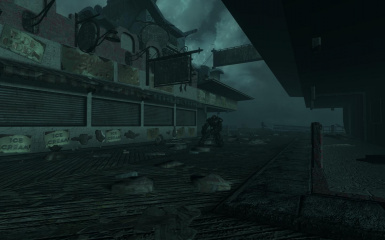 More clutter has been added along the board walk such as debris piles, food, grass and litter etc. Scavengers now inhabit Point Lookout and can be traded with. The Sacred Bog now contains Punga Scorpions which vary in size. Blackhall Manor now has an accessible balcony. There is now much more debris and fire around the remains of Calvert Mansion once it is blown up. The Calvert mansion cellar will still be accessible after the building is destroyed and can be accessed outside. 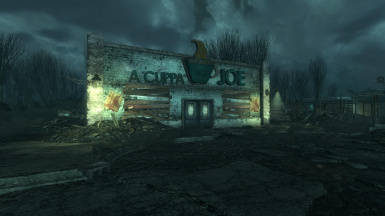 The Coffee shop on the boardwalk opposite the Homestead Motel now contains and interior and an exterior courtyard. 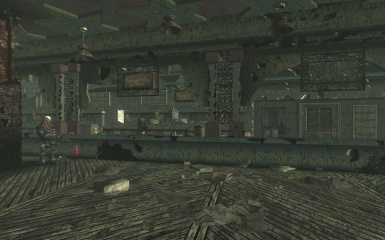 The boardwalk warehouse contains a larger interior which can be accessed from near Panada's house of wares. The Beach view campsite has been improved and is much less venerable to attacks. The small Smuggler campsite near the Turtle Dove detention camp now contains a small shack which the Smugglers will sleep, eat and sit in. The Smugglers also have more dynamic patrols instead of sitting all the time. Various fixes have also been made. 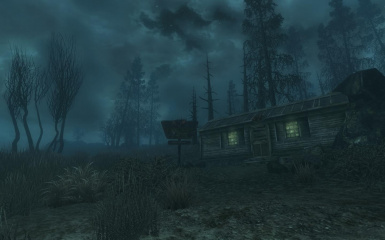 A new Smuggler shack has been constructed east of Marcella's shack which is accessible once the player has completed Point Lookout’s main quest. New caves have been added to the east coast line. A new well with an interior has been added to the back of Calvert Mansion. 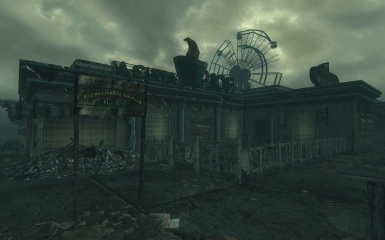 Run down shops have been added near the boardwalk which contain interiors. A passage has been added to the east cliffs which will lead to the Ark & Dove garden, it is not accessible until you are given the key from the Tribal's. 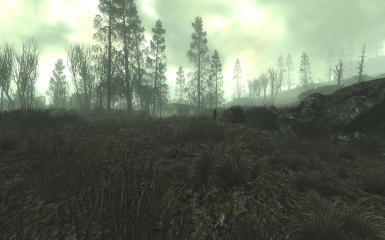 Over 400+ Navmesh, landscaping, coding and clipping errors have been fixed which will increase stability whilst playing in Point Lookout and reduce the amount of times you will see NPC'S/ Creatures running into static objects such as trees. Hayley's dialogue/ speech mismatch has been fixed. Madame Panada's floating idle marker bug has been fixed. Blackhall Manor's double door outside and single inside has now been fixed. Panada's head/body tone mismatch is now hidden. Panada's Protectron now has a specific patrol route instead of wondering off and getting killed. 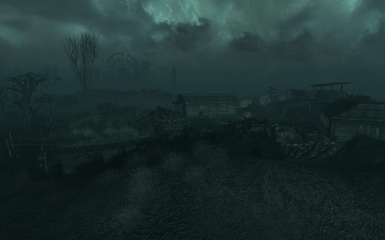 Most of the clutter on and around the boardwalk and the Homestead was clearly floating off the ground, it has now been set to the correct level. Some friendly Tribal's at the Ark & Dove cathedral never spawned due to them not being linked to their parent enabler. Now they are all correctly linked. Some Smugglers on the covered bridge never spawned after the main mission was completed due to them not being linked to the parent enable. This has been fixed. The sewer pipe linking the detention camp to the swamp seemed too short considering how far it took you, it has now been extended to a realistic length. All the Homestead Motel doors were surprisingly the wrong way around and looked like they were floating off the ground, they have now been fixed. Marcella used to have a package where she would just sit on her bed day and night, she will now sleep. 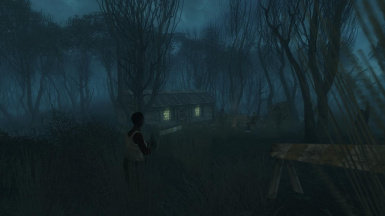 She will also sit outside her shack once you have completed her quest and killed the swampfolk behind her shack. The silent door issue with the Cathedral main gate and silent shack cabinet doors has been fixed. 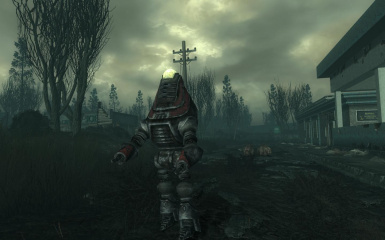 With NMM/ FOMM - Download/Locate the Point Lookout Reborn folder then activate it. 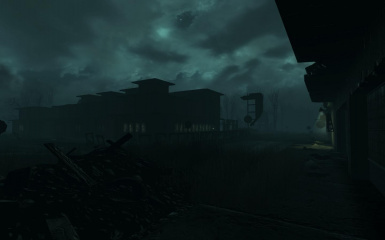 Make sure the "Point Lookout Reborn.esm" is ticked and overwrite any files if asked. 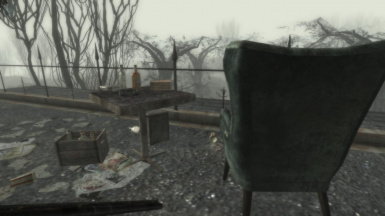 Manually - Download and Locate the Point Lookout Reborn Archive, then extract the file to your Fallout 3 directory (NOT THE DATA FOLDER). 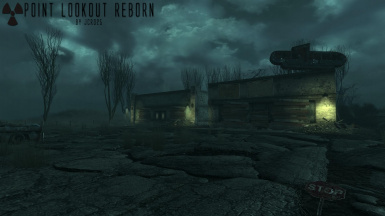 Default: C:Program Files (x86)Bethesda SoftworksFallout 3. 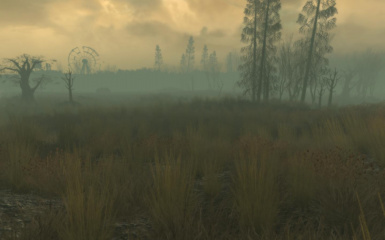 Once this is done start the game launcher and enable the "Point Lookout Reborn.esm" file. 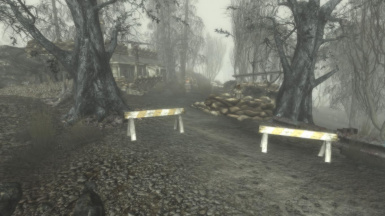 Though it is not essential I highly recommend resetting any progress you have made in Point Lookout this will ensure that all parts of Point Lookout Reborn will function properly and maximum enjoyment. This does not apply to those who have not yet started the Point Lookout DLC. There is a simple way to reset any progress made in Point Lookout which will not require you to load an old save. 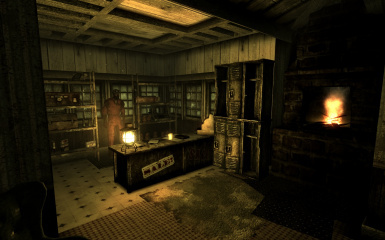 Deactivate the"Point Lookout.Esm" File only. 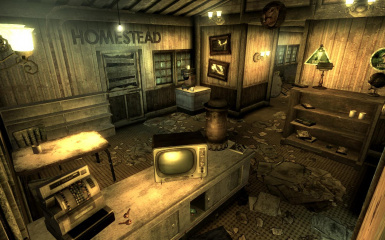 Close the game and then Re-Activate the "PointLookout.Esm" file. I take pride in my work and spend hours of testing on every version of PLR that I release in order to ensure the smoothest and richest experience for everyone. There are currently no known errors or problems as of V2.4 If you do encounter any problems then please PM me and I will do my best to solve the issue. However Point Lookout Reborn as its name suggests only edits Point Lookout, nowhere else. 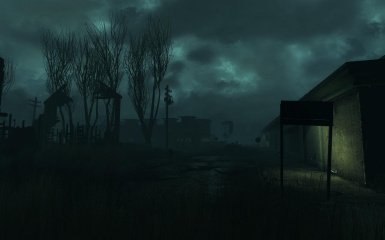 If you find a bug in Point Lookout and you don't have all the DLC'S required or find a bug in the wasteland then please don't discuss it here as it won't be caused by Point Lookout Reborn. Don't come complaining here if you don't have one or more of these DLC's installed and are experiencing problems, as its going to be a result of not having one or more of the above. Before considering asking me a question in regards to PLR, please read the information below to avoid wasting both my time and yours. Q: Will you be happy if I ask a question already answered below. A: NO. I took the time to make this section, so read it. Q: You said you would release the new version last night? I'm still waiting! A: Unfortunately for you, I have a busy life of my own, of which has far more pressing issues than working on Point Lookout Reborn. Q: Why are most of the release dates delayed? A: I am a perfectionist. And so when making new updates I only plan to implement solutions to any existing problems. This does happen, however I always find myself getting carried away with implementing way more improvements than originally planned, which is the no.1 cause of the delays, call it a bad thing, but I think its a good thing. Q: Will you still continue to provide new updates for PLR after V2.4? 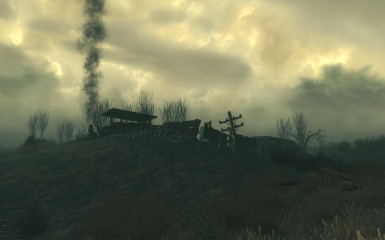 A: I feel as if the time has now come for me to retire from PLR and move on to another, much larger mod I have been working on since 2010 for Fallout New Vegas. 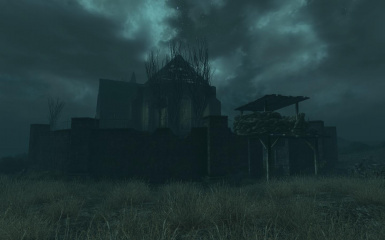 I believe that PLR has now achieved its maximum potential, to addition of much more is likely to compromise lore friendliness, as there is only so much you can add to a small DLC without it becoming unfitting. I will continue to provide support for PLR, although I cannot foresee me working on PLR unless issues arise. A: Its an abbreviation for Point Lookout Reborn, you moron. Q: Does this mod require FOSE? Q: Does this mod require any other mods to function? Q: What DLC'S will this mod edit? A: Point Lookout is the only DLC this mod edits, however it uses resources from the other DLC's which is why these other DLC's are required. 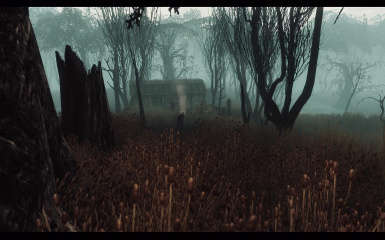 Q: Is this mod compatible with other Point Lookout mods? 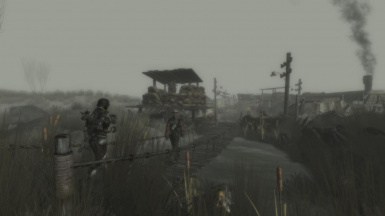 A: Most Point Lookout mods that make small changes to PL will be compatible with PLR, however the larger the mod, the more likely it is to be incompatible. Try for yourself and report the mods that are/ aren't. 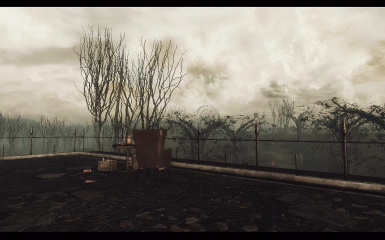 Q: Are there any other Point Lookout Mods that will conflict with PLR? 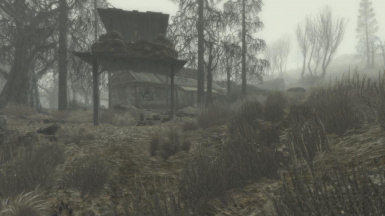 A: Yes, mods such as The Shadow of the Swamp by PuceMoose of which edit a vast amount of Point Lookout will likely not be compatible with PLR due to the fact that PLR edits nearly every single exterior and interior cell contained in Point Lookout. 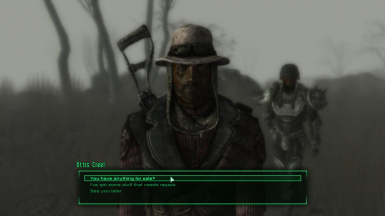 Q: I found a bug whilst in the wasteland? A: Well done, I don't care. Q: What program do I use to install this mod? 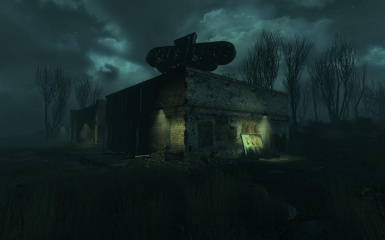 Q: I found a bug somewhere but I have other Point Lookout mods installed? 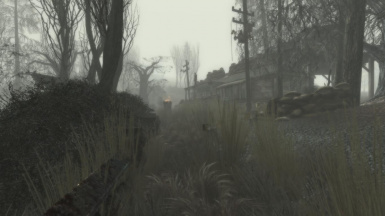 A: If you think the bug is caused by PLR then temporarily disable all other Point Lookout mods and run the game to see if the bug is still occurring. If the issue still persists, then PM me, and I will do my best to resolve the issue.